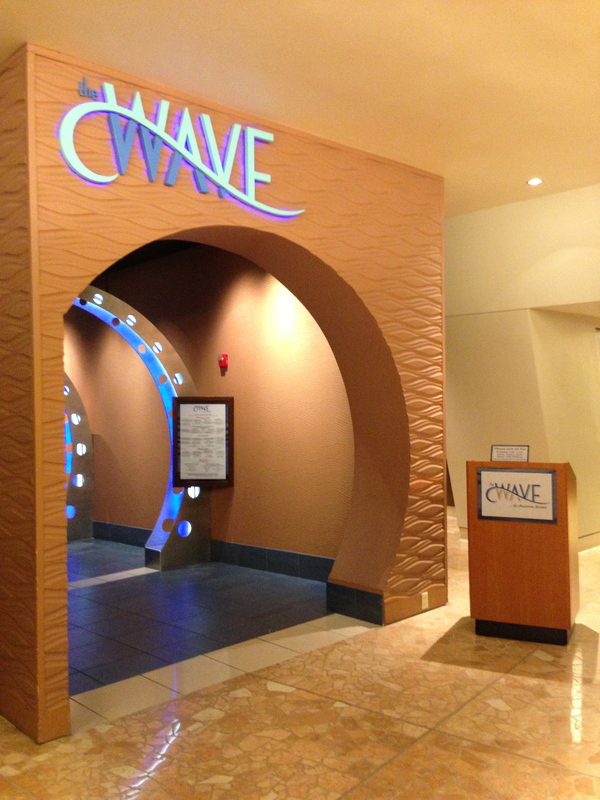 Dining Recon: The Wave | It's "All in WDW"
A week or so ago, I mentioned that I really need to catch up on some dining “stuff”. To be truthful, my friends, my desk at All in WDW HQ is piled up with “Dining Recons”! 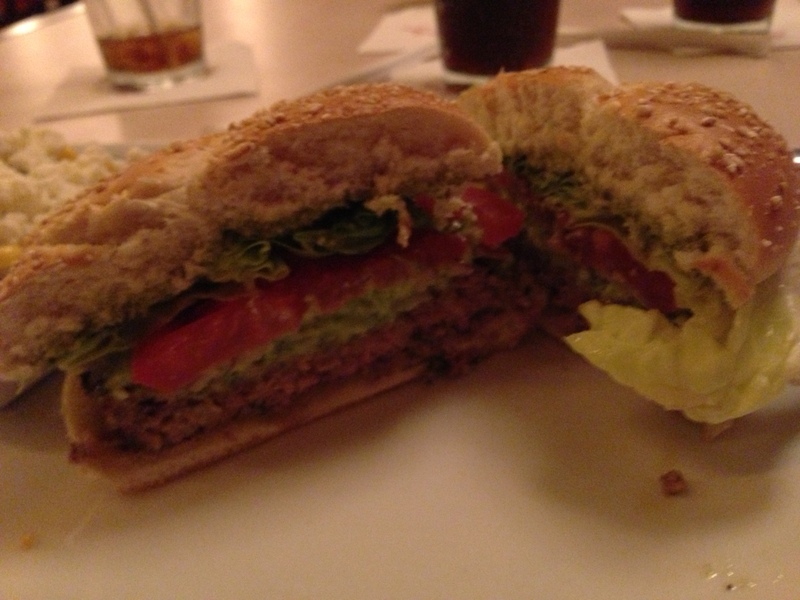 For instance, earlier this year, Mrs. All in WDW and I visited The Wave … of American Flavors for the very-first time. After an early-morning visit to the Magic Kingdom, we walked over to Disney’s Contemporary Resort and stopped in for lunch. I told you it was a tunnel! As you walk in, you can catch a preview of the menu. … Soft Pretzels with Spicy-Sweet Cream Cheese and Mustard or Edamame. 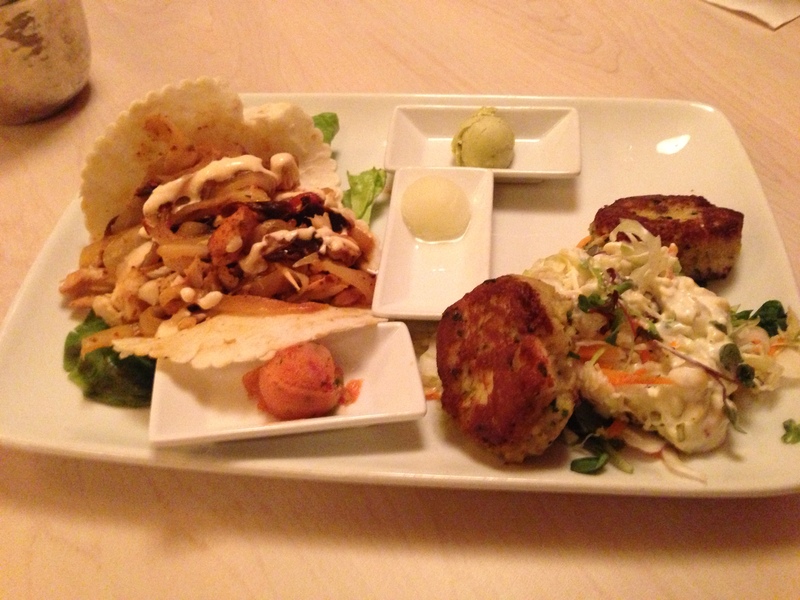 Finally, you can order The Wave’s noteworthy Lump Crab-Florida Rock Shrimp Cakes and Fish Tacos. That delicious duo is known as their “Appetizer for Two”. Otherwise, the main restaurant itself starts serving a buffet breakfast at 7:30 AM. Don’t sleep in, though, as they close up shop at 11:00 AM! Then, they re-open at Noon for lunch. That’s when we stepped into the picture! We love the modern look of the main restaurant. Notice the “wavy” shape of the ceiling fixtures? Quite appropriate. Our choice of appetizer was a “slam dunk”. It was the aforementioned Appetizer for Two. How could we resist? Our server just raved and raved about their award-winning crab and shrimp cakes. The “cakes” and tacos were fantastic! Served with a very tasty Avocado Gelato and House-made Soft Flour Tortillas, both items lived up to their advanced billing. It was the perfect size for two to share, and we’ll order it again the next time we visit. We went in different directions with our entree’. 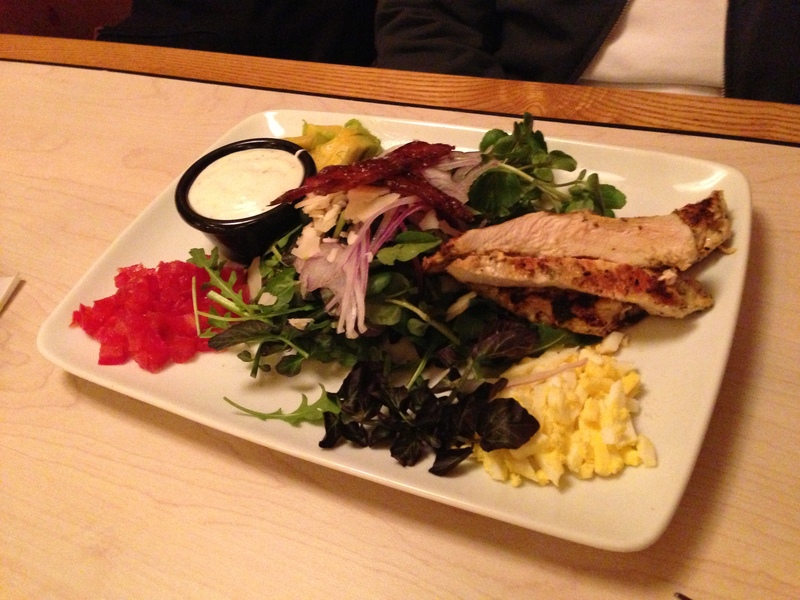 Ever mindful of making healthier choices, Mrs. All in WDW went with The Wave Cobb Side Salad with Chicken. According to her, it was very good. Cobb Side Salad with Chicken. I, on the other hand, took a much more adventurous (for me) course. I chose their Bison Burger. It was served with Salsa Verde and a Three-Cheese Spread. As a side, I ordered the Sweet Corn Salad. Sadly, I must confess that the Bison Burger is no longer on The Wave’s menu. Hey! I told you that I was way behind on my “recons”! 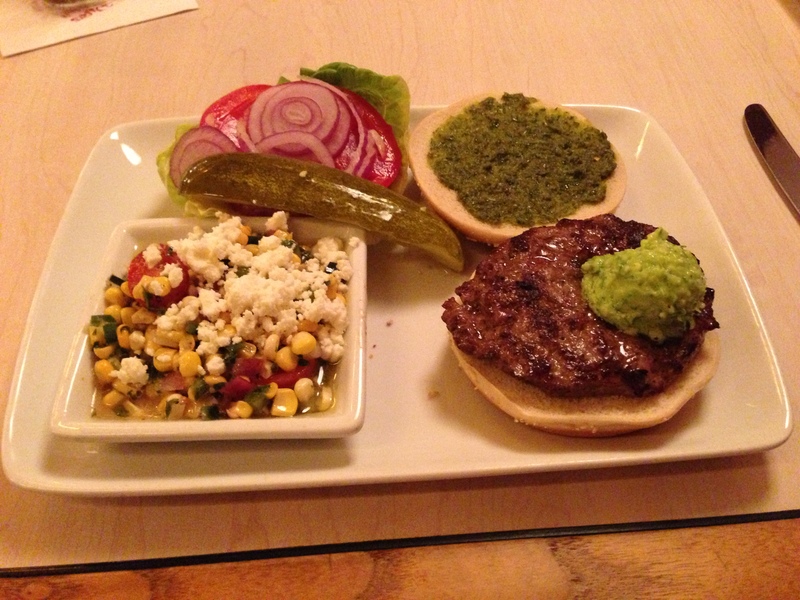 Anyway, replaced by a Florida Grass-Fed Beef Burger, this bison’s corn salad seems to still be available. It’s a good thing too. It was outstanding! 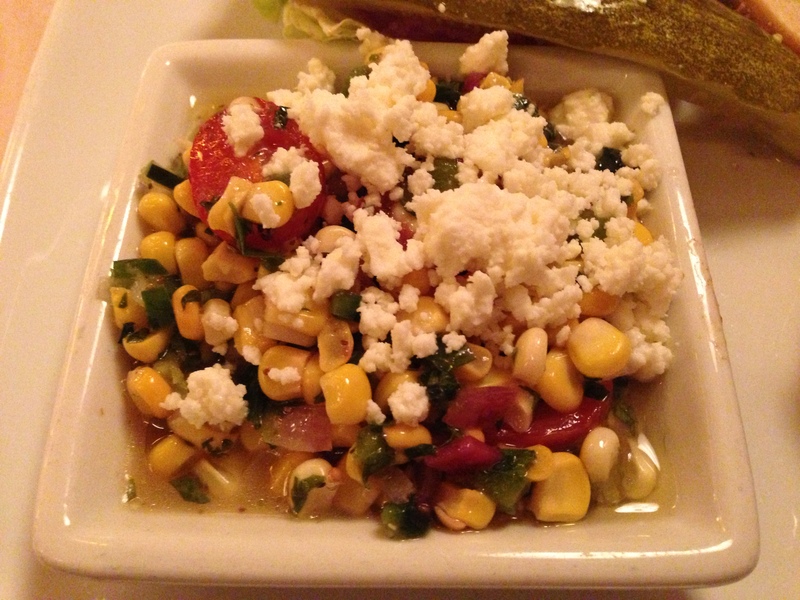 The Sweet Corn Salad was very tasty! The salad included lime, bell peppers, sweet onion, and crumbled feta. To be honest, I had meant to re-create this side dish as an entree’ once we returned to Atlanta. I completely forgot! I’ll have to plan it into a menu in our near future. As for the bison burger, I think I would have preferred beef. It was just a little bit too dry for my taste. Lucky for me that Disney’s chefs shifted their fare to Florida’s Grass-Fed variety, eh? The burger cut in half. We enjoyed our visit to The Wave. It was another of the WDW hidden “gems” that we had walked right by many times in the past. Fortunately, we corrected that mistake. If you haven’t been there as yet, give it a try. You’ll enjoy the “crab cakes”! ← “Food” & Garden ’14 Update! It was very good. We can’t wait to stop in for another visit … although, next time, we think we’ll sit in the lounge. 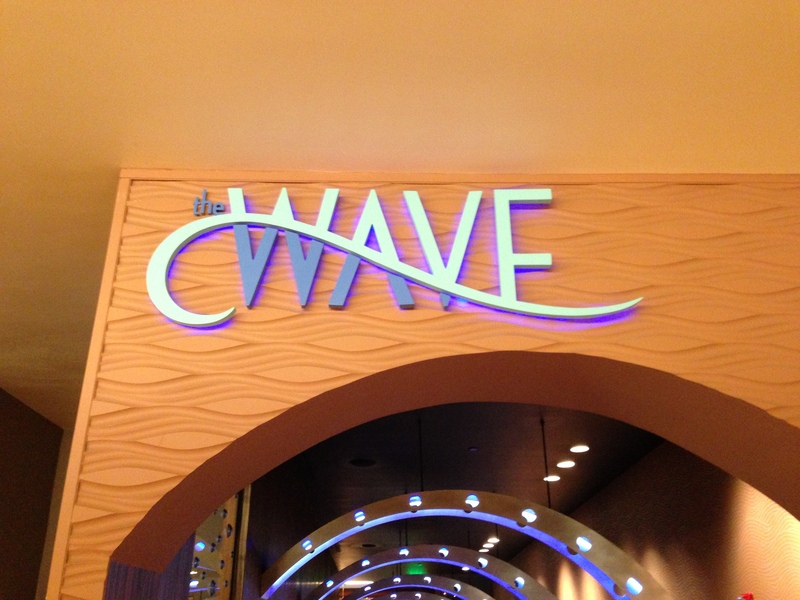 We love the Wave- perhaps not the breakfast buffet tho. It lacks the special elements the regular menu has. I love the seasonal stew especially! I’ll have to check out the stew next time. I presume that “seasonal” means that they change it from time to time? I believe so- its like the sustainable fish- whatever is plentiful!